O’Rourke fig cultivar and Improved Celeste fig cultivar have been confused in the nursery trade and among home orchardists. This post will attempt to clear up much of the confusion about these two excellent fig varieties. O’Rourke and Improved Celeste are very different, distinct cultivars. Both were created in the LSU fig breeding program. Both are improved celeste hybrids; however, one, O’Rourke, was officially released by LSU, whereas the other cultivar, already known and sold in commercial nurseries as Improved Celeste, was not officially released. I don’t know that LSU has even acknowledged its existence, except in passing. Nor do I know how Improved Celeste got its name or who first named it. Improved Celeste fruit is more squat and bell-shaped, and in color lavender or navy, sometimes light red or brown. O’Rourke fruit is more slender in appearance and typically brown with some maroon. The leaves of both cultivars are different from one another. O’Rourke leaves are commonly 5 lobed, whereas Improved Celeste leaves are commonly 3 lobed. That said, vigorously growing Improved Celeste can develop many 5 lobed leaves, though the shape is different from the 5 lobed leaves of O’Rourke. Another point of confusion: directions on Almost Eden’s O’Rourke web page intended to assure viewers that AE has the true O’Rourke take viewers to a web page showing only the fruit and trees of Improved Celeste. This O’Rourke page refers viewers to this Improved Celeste pic page. One longtime fig grower has noted that Almost Eden has shipped O’Rourke and Improved Celeste trees to him more-or-less interchangeably. This occurred either due to mislabeling or because AE remains confused about the difference. Note, the tree on the left immediately above does not produce the fruit on the right immediately above, despite Petals from the Past’s juxtaposition of the two photos. The O’Rourke photo on the right is LSU’s photo, surely taken in Louisiana. The Improved Celeste photo on the left is presumably from the orchards of Petals from the Past in Alabama. I’ve purchased many trees from Almost Eden but not their so-called O’Rourke, so I don’t know what actual cultivar they typically ship under that name. It seems that they have both cultivars but confuse them in their online display and sometimes in shipping. Again, these are all good nurseries for figs, in my opinion, though their confusion on O’Rourke and Improved Celeste is considerable. 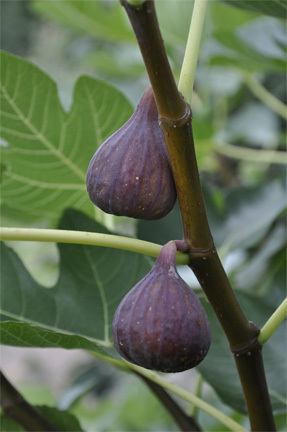 If you want great fig trees at reasonable prices, you can scarcely do better than to buy from Almost Eden and Petals from the Past, also Edible Landscaping – just watch out for confusion with the Improved Celeste and O’Rourke cultivars. It is worth elaborating on the fig you brought up in post #5 [Improved Celeste] and referred to again in post #12, namely “the improved celeste that is not O’Rourke.” This is an “improved celeste” that was bred by LSU but not officially released by LSU. As Pete notes, however, it became known as “Improved Celeste.” Then, as Pete notes, when LSU officially released O’Rourke as its “improved celeste,” many people mistakenly changed the labels of their “improved celestes” to read “O’Rourke.” However, it is important to note that some people consider the the unofficially released version to be better than O’Rourke! So much so that they’ve taken to referring to it as “Improved Celeste O’Rourke Not,” or ICON, to help underscore the distinction! Most recently, Kelby and others on ourfigs have continued to address the issue. My Improved Celeste trees have produced fruit bountifully. Initially, my O’Rourke trees produced only a handful of fruit, however this season O’Rourke has proven to be a productive and relatively early ripening cultivar, though not as early the very early ripening Improved Celeste. There is an LSU-linked faction that is upset that the name “Improved Celeste” has been divorced from the O’Rourke fig. Apparently there was great pride in O’Rourke being understood to be _the_ Improved Celeste fig. However, before O’Rourke was released, another fig had entered the nursery trade dubbed “Improved Celeste” (probably because it had no formal name but was understood to be one of the many LSU created improved celeste hybrids). It’s possible that O’Rourke was then officially released by LSU partly as an attempt to establish it as the “real” Improved Celeste. But the other fig was already in circulation with no other name than Improved Celeste. Confused, some nurseries selling the fig known only as Improved Celeste changed its name to O’Rourke, apparently because it had been emphasized to them that O’Rourke was _the_ Improved Celeste. Clearly someone or someones wanted O’Rourke to be known as _the_ Improved Celeste and apparently still do to this day. But what to call the other fig known publicly only as Improved Celeste far moreso than O’Rourke was ever publicly known as Improved Celeste? The upshot is that people are upset about O’Rourke not also being known as Improved Celeste to the point of being mad about it. In my view, if anyone at LSU had wanted the O’Rourke fig to also be known as _the_ Improved Celeste, then they should have officially named it “O’Rourke’s Improved Celeste” or “Improved Celeste O’Rourke,” or some such. 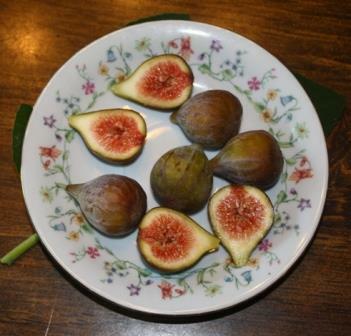 This might have caused nurseries like Just Fruits & Exotics, and Petals from the Past, and Almost Eden, and Edible Landscaping that are selling these figs, or claim to be selling them, to understand the difference between these two varieties and to give a new name to the fig known only as Improved Celeste (not O’Rourke). By now, and long since, the only entity capable of changing any of this is LSU. The university would need to step up to the plate finally and formally release the fig that came to be known as “Improved Celeste” under an official, formal, and different name. Possibly, dare it be said, an improved name! I’m not good enough to view the links to cajunfigs.com because I am not invited.